Kristina Ozimec is an investigative journalist from Skopje and president of the Platform for investigative journalism and analyses PINA. She is also head organizer of the Investigative film festival Skopje. She is specialized in covering different areas like politics, corruption, rule of law, human rights, civil society and education. Ozimec has won multiple awards for her investigative reports and has been commended for her professional coverage of issues concerning the marginalized communities. 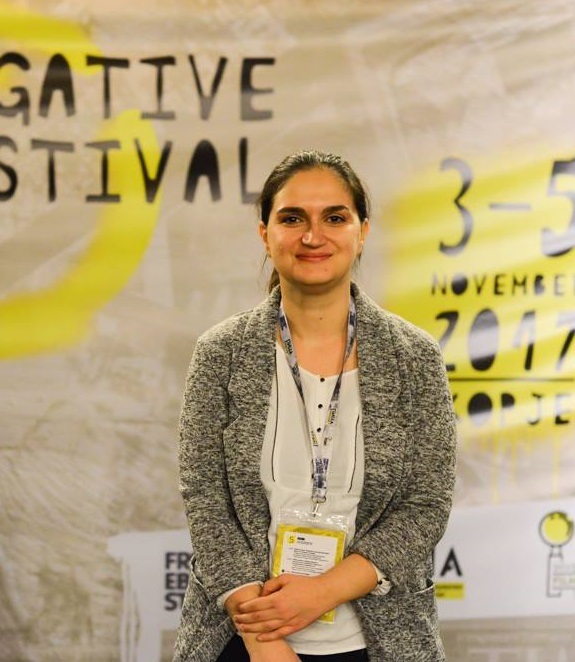 She has conducted training sessions and lectures about investigative journalism and media, and has an ongoing collaboration with Deutsche Welle as a correspondent from Macedonia. Kristina is a journalism graduate of Iustinianus Primus Faculty of Law in Skopje.